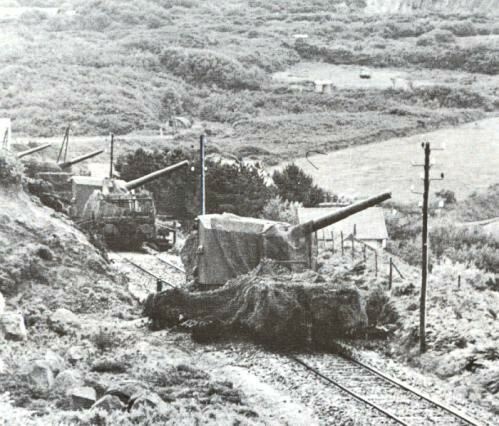 The battery Gneisenau used these guns amongst other locations at L'Anse du Brick, east of Cherbourg. 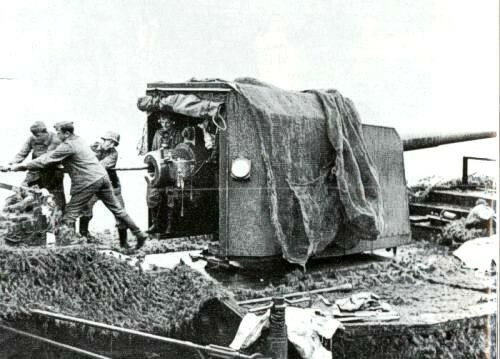 They filled the gap in fire power during the constructing of the Regelbauten. With a 3 m distance finder and two 150 cm searchlights the battery had several successful actions with sinking allied gunboats. A total of 4 guns were operational. The crew is cleaning the barrel.